Shravan is the fifth month of Hindu Calendar during which the Nakshatra Sharvan rules the stars on full moon night. The auspicious month is dedicated in the name of the maker and the destroyer, Lord Shiva. Worshipping him and performing certain rituals during this time of the month is said to bring heaps of fortune. The month of Shravan has already marked its beginning on 10th July and will continue further till 7th August. Shravan Somvar Vrat is observed on every Monday of this period. Visiting the temples of the most peaceful yet fierce deity makes the aura of the month purer. In order to imbibe sanctity in you here is a list of few Shiva temples to visit on Shravan. Shravan in Gujarat begins a little earlier than it does in North Indian states. 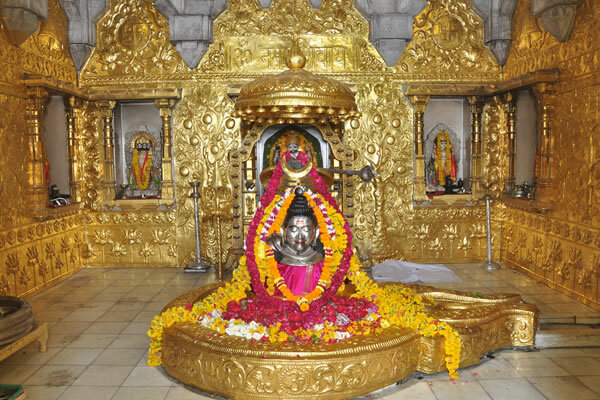 Devotees from all over the nation throng to the temple in order to witness the great Somnath Mahotsava. Its piousness has made it gain prestigiousness among Hindus. During the festival of Shravan, the temple opens up at 4 am and remains open until 10 pm. 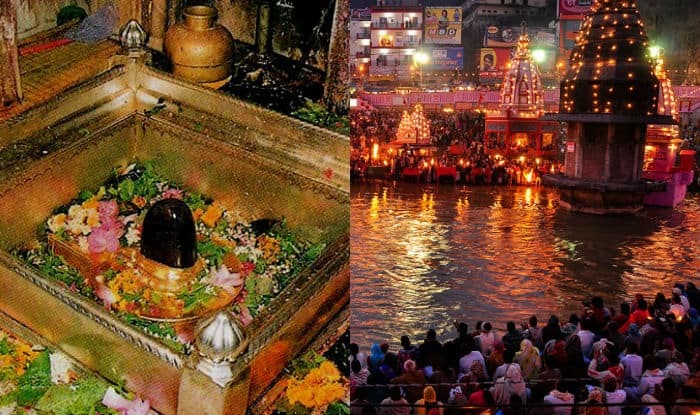 Located on the sacred island called Shivpuri, the Omkareshwar temple is one among the 12 jyotirlingas in India. The island itself is in shape of Om, making it an auspicious place to be. Devotees from far flung areas head towards the temple in order to be a part of its holy celebrations during the Shravan Mas. Situated on the banks of river Ganges, the temple is dedicated to Vishwanath, Ruler of the Universe. The temple comes in the list of world’s oldest temple with 3500 years of documented history. The holy town of Varanasi observes grand celebrations during the month of Shravan. Each Monday of the month witnesses different decorations. Starting with the decorations of Lord Shiva on first Monday the festival ends with the decorations of Shri Rudrakshay on fourth Monday. The ceremony of Jhoola Sringar is performed with great zeal and enthusiasm. The miraculous thing about the religious shrine is that its three faces embody Lord Brahma, Lord Vishnu, and Lord Rudra respectively. Shravan, the festival dedicated to Lord Shiva is among the main festivals which are celebrated in the temple premises. Special ornamentation of the deity takes place on Naag Panchami and full moon day or Narali poonam. Furthermore, the procession of oxen is carried out on the no moon day. Being the largest temple in Bhubaneshwar, it is a host to the greatest celebrations of every festival dedicated in the name of Lord Shiva. 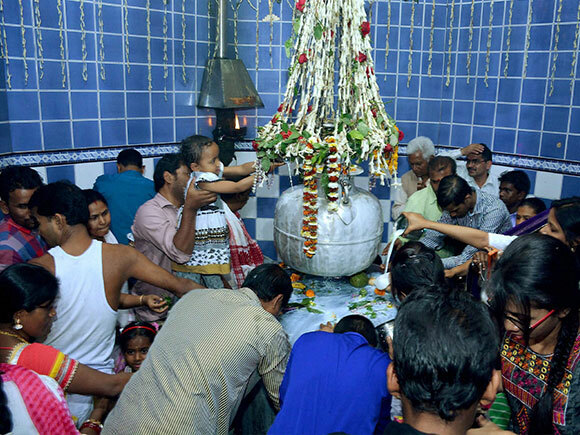 One such being the Shravan during which the Bol Bam pilgrims gather together and carry water from Mahanadi to the temple every year. Built in 1792, Taraknath Temple is an epitome of Bengal Temple Architecture. Highly dedicated to Lord Shiva the devotees flock in huge number to worship the almighty. Mondays observe the maximum visits of the worshippers. Every Monday of the Shravan Mah has different colours to show. Various decorations depending upon the occasions take place leaving an impact of Bengal’s flamboyant culture. Situated in the Srisailam district, the temple is the only temple to be revered as a Jyotirlinga and a Shakti Peeth. Shravan here is considered as a meritious festival during which Utsavams are held. To celebrate the festival with utmost devotion, Akhanda Sivanama Sankeerthana is held. Bhajans on continuous notes are performed during the month of Shravan. Baba Baidyanath Dham is among most sacred abodes of Lord Shiva. Mythology says that the present grounds of the temple were the place where Ravana offered his ten heads to Lord Shiva in order to get the boons of life. The temple is very famous for its Shravan Mela during which thousands of pilgrims visit the holy shrine. Millions of devotees walk barefoot to offer the water of Ganges collected from Sultanganj to the deity. Located on the banks of Bagmati river, Pashupatinath temple leaves its devotees spellbound with its energetic aartis. It is believed that those who die in Pashupatinath Temple are reborn as a human, regardless of any misconduct that could worsen their karma. Constructed in 1744 by Ahom King Pramatta Singha, the temple today has become the most important temple with its primary deity Lord Shiva in Assam. Every year during the month of Shravan, a Shravan Mela is organized in which millions of devotees chanting Bole Bam reach the temple after walking for long distances. These were a few temples dedicated in the name of Lord Shiva where Shravan is considered as one of the most important festivals. Worship Lord Shiva and be a witness to his supreme power!